When you think about the topic of how to change your habits, what is the first thing that comes to mind? Is there a feeling associated with the idea? Maybe you suddenly feel positive, frustrated, hopeful or hopeless. Maybe you don’t want to talk about it. My mind tends to go straight to the bad habits I have acquired over the years. Most of us have at least a few things we want to improve so we read and try and look for answers in the form of books, articles, medication, diet, and religion. Sometimes we form or break habits and sometimes we get frustrated and begin the cycle all over again. 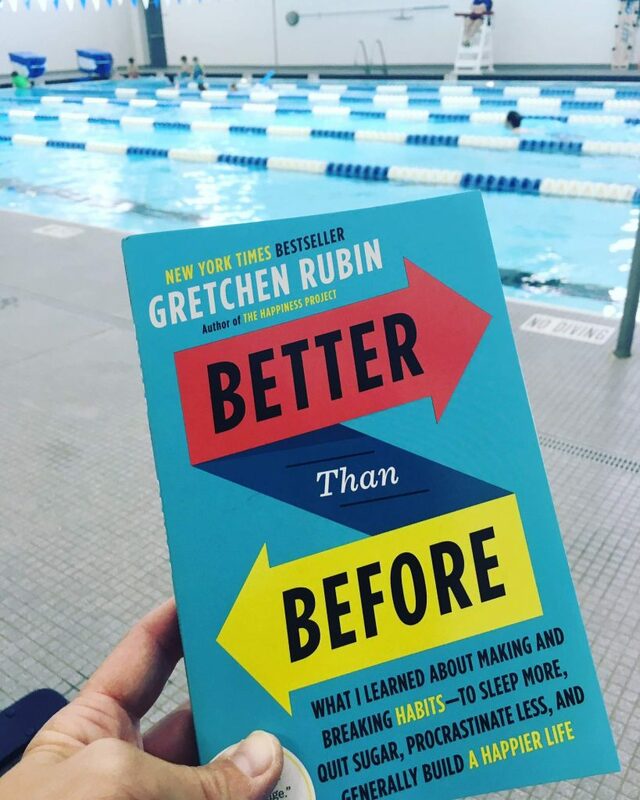 What I learned about making and breaking habits – to sleep more, quit sugar, procrastinate less, and generally build a happier life. Who doesn’t want all that? I knew I needed to see improvement in each of these areas so I ordered it and anxiously awaited its arrival. But once I started reading, I felt a fight brewing inside me and I couldn’t figure out why. I wasn’t really connecting with the author. I thought, maybe this is just one of those books I don’t finish. When you quit a book on how to change your habits, what does that say about you? Each time I saw Better Than Before on my nightstand I had this nagging thought, UGH! just finish it, then decide what you think. I would pick it up, read a few pages and put it down again. It took me a long time to finish this book I couldn’t seem to quit and that both frustrated and intrigued me. What was this fight really about? Rubin divides people into what she calls “The Four Tendencies.” There is a short quiz in the back of the book as well as an online version. According to Rubin, once you identify your tendency, you can be more effective when trying to change your habits. I don’t disagree with this entirely, but as I read the book and accepted that I was probably in the Rebel category, I realized that there really isn’t much information for us. Rubin will give ideas for the other three categories and end the sentence with something like Rebels won’t typically do/like this. I appreciated the idea that each type of person must deal with habits in their own way, but I felt a bit left out as a Rebel throughout the text. It seemed as if my plight was decided and there wasn’t really an answer for me and my unpredictable ways. Rubin describes herself as an Upholder, someone who is naturally driven to meet expectations. Habits then, come a bit more naturally by design. But the problem for me is that this label of Rebel wasn’t exactly sitting right. I thrive on routines and I am all about my calendars and lists. My days look very similar to each other, but I work-from-home so my routine (Upholder) has been my choice (Rebel). I had to reconcile my emotional rebel with my actual personality, which leans a little more to the rigid side. Why couldn’t I walk away from this book? I’ve narrowed it down to 3 reasons and I think they are going to make a huge difference for me when it comes to my habits. There may be hope for this Rebel yet! This is particularly helpful to me because I am tied to my calendar. If it’s not on my calendar it’s flexible. More often than not, if I don’t commit to something in advance, I’m going to back out when the time comes to follow through. If I decide only once, I can be more efficient and effective. This one really surprised me and I would never have believed it if I hadn’t recently experienced exactly what she wrote about. For my entire life, I have preached the idea of “all things in moderation” as the gold standard of living. This allows me to be non-judgemental of others, enjoy the things I like and still not go too overboard. However, there are some things that I don’t have the ability to moderate. And from these things I just need to abstain. In fact, like Rubin says, abstaining is actually easier than moderation. I laughed when I read that the one thing the author refuses to give up is her diet soda. She has decided that it’s important enough to her that it doesn’t matter what people say about it. She made her choice and she’s sticking to it. Yet, for the first time in my life, I am completely soda-free and I have been for more than three months. This came entirely from a quick, in-the-moment decision to “stop drinking soda”. I didn’t plan for it. I decided that even though I never kept it in the house, I still managed to drink one a few times a week and I didn’t like the dependency I had on it. I’m battling other health-related habits and let’s face it, I picked the easiest one to deal with, crossed soda off my list and moved on. The decision has been made. I don’t have to “choose” water or soda when I order a meal. It’s done. And it’s SO much easier this way. Who knew? I have always liked the idea of rewards for good behavior, but I never considered tying a reward TO the behavior. I’ve long heard the old, “don’t use food as a reward” saying, but what if I DID? What if after a week of eating healthy, I rewarded myself with a special HEALTHY meal that I don’t often have? Maybe it’s at a restaurant or it takes longer than 30-minutes to make. This makes so much sense to me. Likewise, if I am trying to be more productive in my job, why not reward myself with some app or subscription that will make my JOB easier? Using rewards that reinforce the habit is so simple I can’t believe I never thought of it before. I can do this. This book really wrapped around me for some reason. I don’t know if it’s the season I am in or what, but for some reason, I couldn’t walk away. I’m glad I powered through because the last few chapters in the book were really great. And if you subscribe to the idea of the Four Tendencies, I have a feeling that each person who reads Better Than Before will walk away with something totally different. I’d love to know if you took the quiz or read the book. Are you an Upholder, Questioner, Obliger, or Rebel? 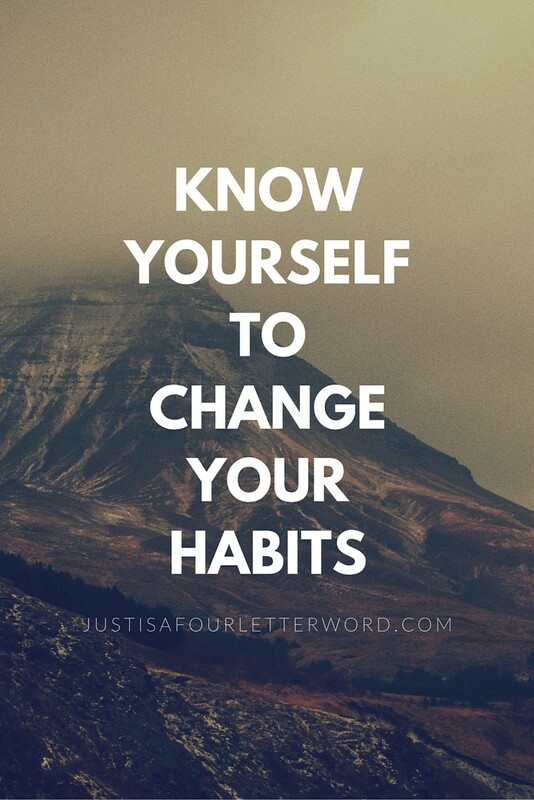 Do you think you can really change your habits? Shopping through my ads helps support this website. Thank you! This is currently sitting on my nightstand and I haven’t cracked it yet. I’m fascinated by this whole idea and wondering if there’s a tendency called “lazy” because I think that’s me. And I’m with her on the “one thing and sticking with it”. I’m not giving up coffee (or creamer) EVER! 🙂 Over my dead body. Right?! I will never give up coffee. I can’t wait to hear what you think when you read it!! We’ll have to meet for coffee. HA! I haven’t even read the book yet, but I’m pretty sure I’m an obliger. Ha! I was told that the audio version is a great way to “read” this one, since some of the data in the book can be a little hard to read on your own. I love this post. Picking a reward that reinforces the habit is genius. I’ve never thought about it that way! So the whole time I was like I’m either an Obliger or a Rebel. My guess is that I try to be an Obliger and then I get angry and hulk out hahaha. And seriously about that reward tip. That alone was worth the read! I read this book and loved it. In fact since I read it about a year ago I’ve thought about rereading it again. I’m an obliger, bug time. I will totally let things slide if I’m only doing it for me, but if anyone else is tied into the equation there is no way I will let a single thing slide. I think this is why I have made some better habits for myself since becoming a mom. Even though I want these better habits for myself the thing that actually motivates me to make the change is to lead by example for my girls. My biggest success from the book was the section on linking new habits to your already rock solid habits/routines. That was a big light bulb moment for me because it took my tendency to not meet inner expectations out of the equation a a bit.